Last week my twin started #whole30 meal plan for the month of August and asked me to join. I did not want to give up beans, half and half for my coffee, all the boozy beverages and all the carbs. 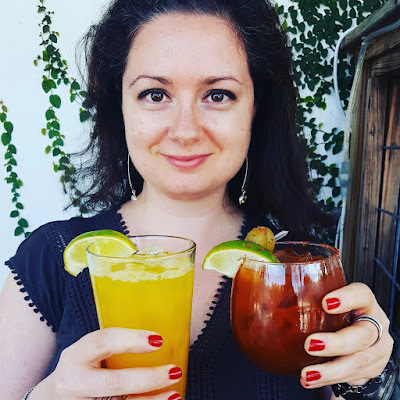 Instead, I agreed to do a modified version of the plan and cut down on white refined carbs, added sugar, and limit my alcohol intake to one or two glasses a week. Not bad. 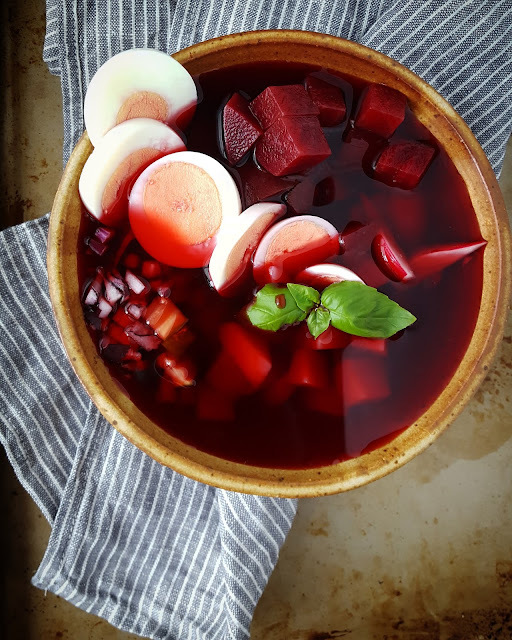 This cold beet soup is perfect for those of you following #whole30, or Meatless Monday or for anyone who loves beets and wants a refreshing dish for hot summer days. 1. Scrub and dice a few beets. Cover the beets with water, season with salt and cook until the beets are tender. Allow the beets and the liquid to cool completely in the refrigerator. 2. 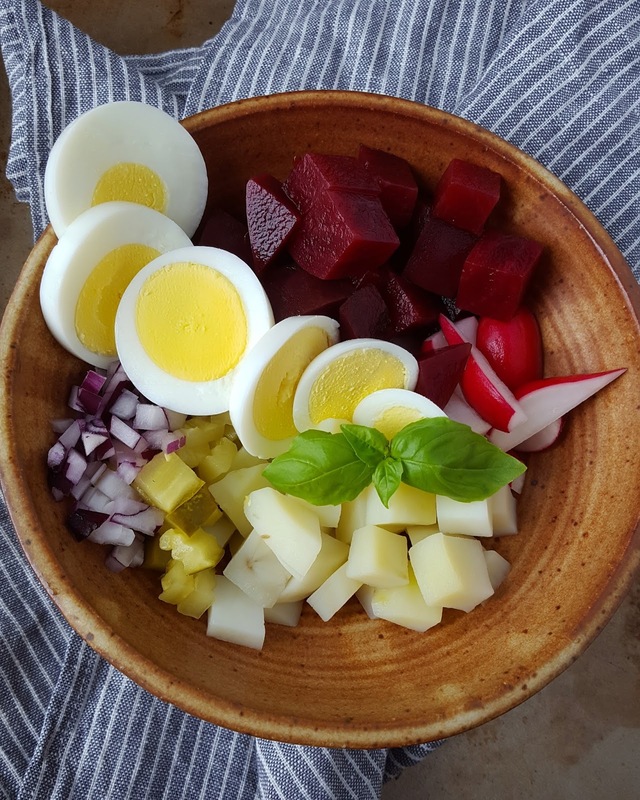 In a soup bowl place cubed beets, cooked cubed potatoes, diced red onion, chopped radishes, diced pickles, sliced hard boiled egg and fresh basil. 3. Pour the cooking beet liquid over the vegetables. Adjust the flavor with salt and pepper and a bit of liquid from the pickles. I typically have this soup with an addition of buttermilk, but it was good without it as well. You can add cucumbers and dill and red peppers. This is a great start to dinner or can even be served as breakfast!